Jia Wei joined Chambers in 2018 upon successful completion of pupillage. His pupil supervisors were James Bailey, Zoë Barton, Jonathan Hilliard QC, Martin Hutchings QC, Benjamin Faulkner and Andrew Mold. 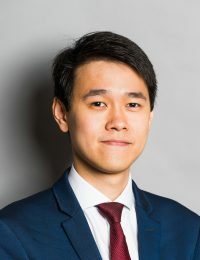 Over the course of pupillage, Jia Wei gained a wide experience of Chambers’ key practice areas, including pensions, trusts, insolvency, company law, fraud, professional liability, property (including landlord and tenant) and commercial litigation. He has also been instructed in his own right, and is developing a broad commercial chancery practice. Jia Wei is happy to be instructed on his own or as part of a larger team. Jia Wei completed his undergraduate studies in law at Cambridge University, graduating in 2015 with a starred first class degree. He was awarded a university prize for the best result in the Aspects of Obligations Tripos, as well as numerous college scholarships and prizes. Jia Wei also spent a year at The Queen’s College, Oxford, completing the BCL with distinction in 2016. He was awarded the Pump Court Tax Chambers Scholarship to support his graduate studies. Before commencing pupillage, Jia Wei taught and examined undergraduate courses in property and trusts law at Cambridge and UCL.